The design should be in line with industry acceptability though pushing the norms so it’s not totally conformist. It must in every instance be immediately identifiable by any visitor as to what the site is about and have intuitive navigation whilst being avant-garde. Proper coding to W3C standards means the site will be compliant with accepted world standards. Further audience specific coding is important as additional code needs to be written for “broken” browsers that have their own stilted interpretation of the standards. Bloated sites and pages stuffed with poorly optimised images and video will hurt your rankings. It’s no use using programming that is not supported by key sections of your market. If you are selling to institutions such as banking, you’ll find that their web browser security is set to “paranoid” which means it will block all but the most mundane code. Therefore any facilities on your site using Flash, Java or even humble Java Script must have fall back facilities using basic code. This is what we call degrading nicely. The majority of sites we see will not degrade nicely and in the worst cases page construction falls apart completely and the site becomes un-navigable as the menus disappear or become dysfunctional. The Internet thrives on search results and king of the search results is Google providing some 80% of the worlds domestic and business search traffic. 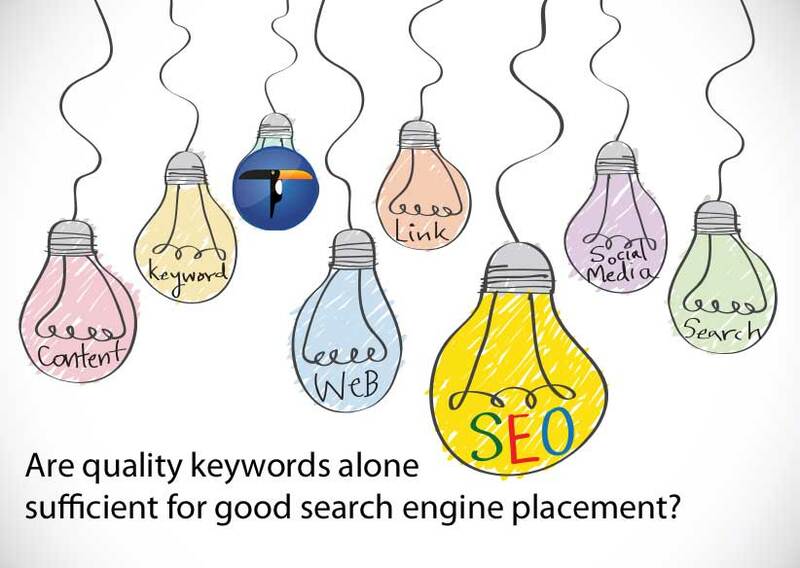 Key to success here is to use the right keywords in the right place in the right manner and frequency. Ideally research the key terms for your business by quizzing the websites of your leading providers in your sector. Then rank all the terms you’ve gleaned against real world search usage to determine the most effective. Then optimise the site using these terms. This search engine optimisation routine is a complete science in itself, but is well founded with clear rules. The basics are for you include a bare minimum of 100 and preferably 300 words per page. Make sure the prime keywords are used in the page title, meta description and titling on the pages. Cross link on the prime key words and ensure the key word density is between 4 and 8% per page. That will get you a fair way to making a reasonably well optimised website. Search engines are much cleverer now and, through what they call Symantec learning, know what constitutes a good site from a poor site and grades it accordingly. 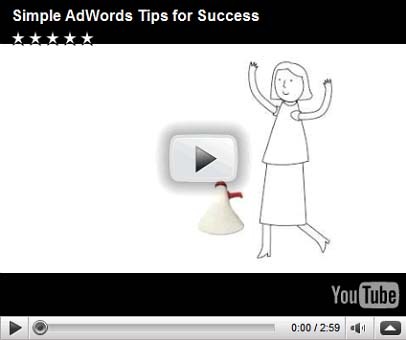 Don’t try and fool the search engines by overly keyword stuffing. A good SEO company will be able to optimise the site for both human and search engines without resorting to what are called Black Hat techniques that will ultimately get your site blacklisted. Google has expanded its algorithm that catalogues and ranks sites to include Video and PDF files so this is all valid content if used in the right way. This word crops up all the time in the search engine optimisation world. Keep your website relevant and on target. This strengthens the message and makes it clear to the search engines what you are all about. Stale websites eventually get side lined as they offer nothing new. Keep your site fresh with new and relevant articles. One way to do this with the minimum of effort is to have a blog running for all your news and take a feed from your blog to a news flash on every page. This way when you update your blog with a new article you also update every page on your website. One of the biggest performance markers is to have a goodly number of relevant back links to your website. Backlinks are links to your site from other websites. Even a handful will noticeably improve your rankings. We invariably advocate an exchange links programme to our clients and provide visiting webmasters the exact code we want them to use when linking to us so they use our chosen keywords how we want them to. More than a complete seminar in itself is the boom phenomenon of SMM. If your clients Tweet, Facebook and alike, then add the SMM share buttons to all your pages so anyone can rebroadcast your pages to their followers. This way your interesting pages can be shared at a click with the viewers followers. When a site has been coded properly it will use the smallest files possible so that the site can be delivered quickly and give a great visitor experience. Google monitors and rates sites for performance. All the good coding work can be undone by simply hosting on budget servers that are maxed out for profit rather than performance. There are free tools available to performance rate your hosting for your site. Promote and monitor your website on a regular basis to all the key search engines, the niche market search engines and directories and the local gazette sites. Use Google Analytics to monitor your site traffic and work out where improvements can be made. 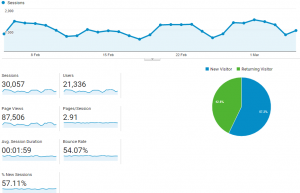 Use Google Webmaster to tell you where improvements can be made to your site. Test and measure all the time. That should give some additional considerations for getting you the best advantage for your website on the net and therefore getting a greater return. This article was written by Simon Thomas who has been active on the Internet since 1995 and runs a number of commercially successful Internet projects. He supports the building of clients’ websites to the correct standards, not just SEO, and maintains on-going search engine marketing for clients that value high performing websites. Having a commercially successful website is ever increasingly important to businesses as the website moves centre stage in delivering corporate communications, be that the sale of products or services, liaison with suppliers, customers, after sales support or integration with back office systems for integrated accounts and stock handling. However if your website is not showing highly in the top search engine results for your prime search phrases your business is missing out. This is shark infested waters for businesses looking for quality honest suppliers to provide effective and affordable optimisation of their websites so it is found by the search engines with their chosen key terms. There are companies that promise results and either fail to deliver, fail to deliver consistently or use techniques that could ultimately damage your reputation or brand online by having your web domain blacklisted. Below are a few basic questions that are routinely asked to help you fill in the blanks when considering how to make your website work harder for you. 1. What is Search Engine Optimisation or SEO? SEO stands for Search Engine Optimisation. It encompasses a raft of techniques and approaches to increase the readiness of your website to be understood and therefore categorised by the search engines. 2. What is an Organic listing? An organic listing is the listing of one of your web pages in a search engine and it is included and ranked based on the search engines perceived merits of your web page and website. More and more it is apparent that the good quality websites that deliver great content and play by the rules are finding favour with the search engines. 3. What is Ethical Search Engine Optimisation? Ethical Search Engine Optimisation or White Hat SEO is simply the use of good optimisation techniques that brings real benefit to the possible visitors to your site. The programmes that assess your site are getting ever more cleverer about rating what is good and penalising what could be seen as trying to take unfair advantage. 4. What are Black Hat techniques? These are techniques that can be employed to spoof the search engines into thinking that your site is better than it actually is. Whilst we perceive that good SEO techniques should push the envelope, we strongly recommend stopping short of Black Hat techniques since should you be found to have used techniques, or have engaged someone who has used such techniques on your website, it can result in your page being penalised or even excluded from some or all of the major search engines. 5. Why does my website not show in the search results? You may not have a search engine optimised design. Many designers create brilliant designs, but do not team up with equivalently skilled web partners who know how to write the code that delivers the site to the web browser. The site may not be written to be adequately readable by the search engines that you want to engender. The site or web pages could have missing or incongruous elements such that the search engine is confused about the content and purpose of the site. You or your web engineer may have strayed into inadvertently using Black Hat Techniques. And the site has been downgraded in response. You may not have submitted the site adequately as part of your post launch search engine marketing. (See http://blog.toucan-group.com/?p=17 for an extensive SEM program) . 6. What is Keyword research? Keyword research is finding the right words that will deliver the highest number of visitors to your website possible. Believe me, a single “S” going from a singular to a plural can mean a tenfold difference in visitors. To get to the optimum keywords the routine is to start with your instinctive choices, extract key words from top competing sites, then rank all those terms in order of real world usage. Then, by applying some instinctive personal understanding of the market place, together with an eye to how much the term is contended, draw up your final list. How this list is subsequently used is down to the skills of your web coder and copywriter who should work “hand in glove”. 7. How do I get recognised or ranked for specific keywords? Apart from putting the right keywords in the right places you have to have the right keywords selected in the first place. Once the site is optimised and launched into the big wide world it needs to be promoted and this is where a comprehensive Search Engine Marketing programme needs to be put in place so the site is promoted and monitored properly. It not only needs to be promoted to the obvious search engines but also the niche directories and local gazetteer sites. 8. What is search engine friendly design? The way a design is converted to a web page can be the make or break of a site’s search engine performance; a friendly design is readable and an unfriendly design is far less so. Certain techniques hamper search engines from understanding your site and some can stop a search engine from even looking at your pages. This is where you need a good web construction partner who you trust to understand what can be done and also to get the best out of the creative design provided by the designer. Here you start to see that web coder, creative designer and copywriter have to work as one for a website that stands any chance of success against the every rising bar of other quality websites. Cheap doesn’t work – no matter how pretty the design. 9. Are Meta tags useful? Absolutely, Google may ignore Meta Tag Keywords, but the properly written Meta Description is paramount to good SEO. 10.How can I achieve a top 10 result? Follow all the rules, do the research and keep the site current and relevant. Promote under a structured Search Engine Marketing programme and respond to the feedback that the SEM campaign gives you. 11. Is cheap hosting a good idea? Absolutely not! Taking Google as the market leading search provider; it rates websites on performance. Performance is measured a number of ways, some will be as a result of how the site was built and some by how it is delivered. Cheap servers deliver sites in a measurably slower manner for any number of reasons and your site will be ranked accordingly. There is free software on the Internet to monitor website performance and you want to be sure that you’re not “saving” on hosting but missing out on good rankings – it’s a false economy to do so. Nobody likes going to the dentist; or do they. Toucan Internet LLP seems to have found favour with progressive dentists looking for success online. Smile & Wellbeing in Bishop’s Stortford was Toucan’s first success when charged with getting the site favoured by Google with top search terms “Dentist in Herts” and “Dentist in Bishops Stortford”. Entrepreneurial dentist Dr Bhavin Bhatt said “We had a lovely site that projected our practice well, but until we handed control of the website to Toucan, nobody was visiting. Since Toucan optimised the site we have a steady stream of visitors and new clients, primarily from these search terms. We are pleased with the results and as such have referred Toucan to other colleagues looking for good web partners”. One such referral was Dr Kieron Khoorbhoor of Hook Lane Dental in Welling, Kent. This was a new practice and Toucan was pleased to get involved at an early stage and provide creative designs for the practice logo, business stationery, referral forms, and of course a rather unique website including a video of the practice. And just last week Dr Saba Qureshi’s Northwood Orthodontics website was launched. This site was designed to be in line with industry norms and project a friendly approachable practice that both parents and adults would feel comfortable using. The site is heavily optimised ready for search engine marketing and the domain name of www.orthodontics-london.co.uk hides no secret that we’re after some serious Google referrers. For more information on Toucan and how we could help develop your business please call us for a chat. Flying Hire is a long established, no compromise chauffeur service providing executive travel services for local business around Stansted, London and serving all London’s Airports. As clients of Toucan Internet for over ten years, we are pleased to recommend Flying Hire for any travel requirements, but especially for business when there is the need for absolute reliability and a quality of service that cannot be bettered. Owner of Flying Hire, Chris New, says “We offer a top quality service at a more than fair market price which is why we have thrived as a business over the last ten years.” He goes on to say “we’ve worked with Toucan as our online marketing partner as they share our ethos for quality of service and have consistently delivered us great search engine results that keep channeling customers to us”. To find out more about Flying Hire and how to book the new S Class star of the fleet, please visit their website or email Chris. A simple but powerful message from Google that is of use to all Toucan Internet’s clients running their own Adwords Campaigns. “Today, more than ever, it’s hugely important to ensure that your company’s money is well spent. Simon Thomas of Toucan Internet LLP delivered a ten minute talk to Stansted BNI on the key stages involved in the development of a commercially successful website. By popular request the MS PowerPoint “slides” are made available for those that may want these for reference. We suggest you save this to your local hard disk to run. Note some browser security may convert this to a ZIP file as a security measure. 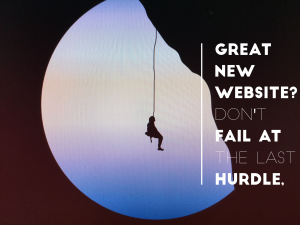 If you are at the point where your business needs a commercially successful website, either by creating one from your current cobweb or by creating one anew, just contact Simon for a chat.